The 40-year-old raced as a professional for 20 years and will step away from the sport after this weekend's Clásica San Sebastián. It’s the end of the road for Haimar Zubeldia, and nearly the end of an era for the peloton. The 40-year-old Basque rider retires Saturday at the Clásica San Sebastián. After riding his 16th Tour de France, Zubeldia said the time is right to hang up the cleats. Zubeldia was durable throughout a 20-year professional career that started in 1998. He holds the record for the most Tour participations by a Spanish rider with 16. He will leave cycling one short of the record 17 Tour starts, now held by Sylvain Chavanel, Stuart O’Grady, and Jens Voigt. In another milestone that’s even more significant for the peloton, Zubeldia is among the last of his kind. The inevitable march of time is making its presence felt across the peloton. Zubeldia is only among a handful of racers who raced professionally in the 1990s. Many have spoken of the “generational change” that will help turn the page on some of the most notorious chapters in cycling’s history. In fact, less than a half-dozen current professionals even raced in the 20th century. Only Angel Vicioso (Katusha), 40, and Davide Rebellin (Kuwait-Catucho), 45, will remain as the active riders who raced in the 1990s after Zubeldia steps aside. Many believe that today’s professionals, most who were born in the 1980s and 1990s, didn’t have to face the same choices that riders did a generation before. Although cycling still sees doping cases, many believe that the peloton is no longer operating under the worst excesses of the 1990s. It’s a bit ironic, however, that Zubeldia’s final Tour appearance came after Trek-Segafredo’s Andre Cardoso tested positive for EPO, and Zubeldia was his last-minute replacement. Zubeldia took the Tour call-up with his chin held high. He was bitterly disappointed not to be originally named to the Tour squad, but he dutifully lined up in Düsseldorf to help out where he could. Zubeldia is also among the last of the Basque riders who raced on the now-shuttered Euskaltel-Euskadi, a team with deep Basque roots. Samuel Sánchez and Mikel Landa are also among the final half-dozen or so riders with Euskaltel-Euskadi links still racing today. Zubeldia said he wanted to end his career at his hometown race in San Sebastián. Zubeldia was once hailed as a possible Tour winner, but he only got as close as a fourth and four other top-10 finishes. 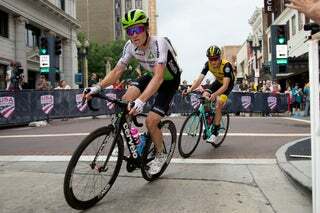 He joined Astana in 2009 and later drifted to RadioShack and Trek to race as a super domestique for the likes of Alberto Contador, Lance Armstrong, Fabian Cancellara, and Andy Schleck. He raced 29 grand tours throughout his career, yet he only recorded two victories: the prologue and the overall at the 2010 Tour de l’Ain. He made the decision last winter to retire.